Tickets must be redeemed at the SkyView entrance, please have your iVenture Card present. Collection Information Tickets must be redeemed at the SkyView entrance, please have your iVenture Card present. 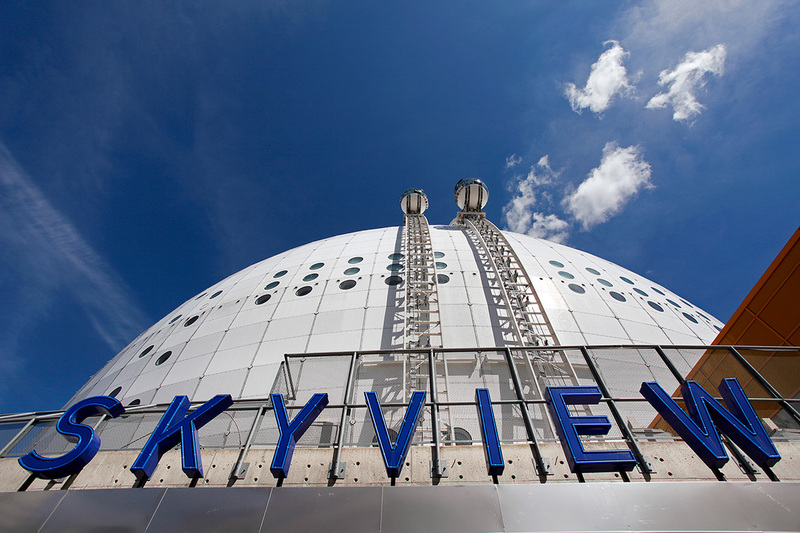 From the apex 130 meters (425 feet) above sea level, you´ll get a fantastic view encompassing all of Stockholm. The two SkyView gondolas departs every 10 minutes, and the entire visit takes about 20 minutes. Enjoy prominent features such as restaurants, cafés and souvenir shops that are adjacent to SkyView. SkyView was inaugurated in 2010. The roof construction of Ericsson Globe was reinforced with 42 tons of steel and then mounted a further 70 tonnes of rails on the arena’s facade. Specially designed glass gondolas were then built by ski lift manufacturers in Östersund and there is no similar attraction anywhere in the world. See the city from a unique perspective from the top of SkyView. 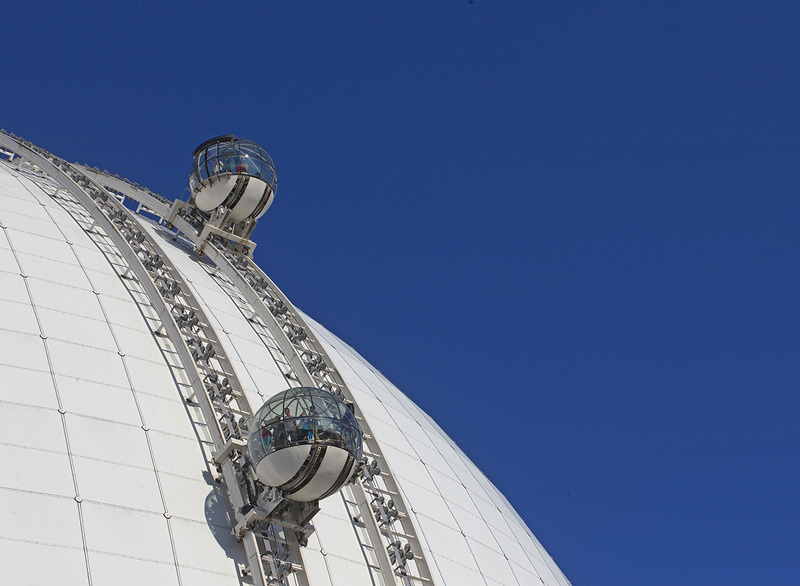 Up the iconic Ericsson Globe you can get unparalleled views over the beautiful city from this glass cabin that scales the side of this impressive building. A trip up SkyView one of the best ways to see the city – so make sure you don't forget your camera!